Discover the secrets of authentic Italian cuisine with over 330 regional classics and contemporary dishes. All the traditional courses, from antipasti, soups, pasta, gnocchi, rice, polenta and pizza, through fish, shellfish, meat and other main courses, to desserts and bakes. 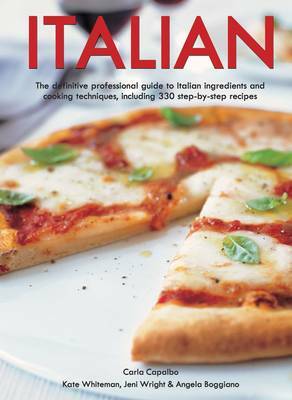 This is the perfect guide for any cook wanting to learn more about the food and cuisine of Italy.